Danforth’s Estimating department assembles project cost estimates for competitive bidding projects, negotiated bid projects and Design-Build projects. Our team consists of experienced estimators in such areas as Sheet Metal, Piping and HVAC Systems. We use QuickPen and other tools to build our estimates and use our many years of project execution experience to accurately forecast labor costs for each project. Danforth is often requested to provide Value Engineering (VE) alternatives to project bids that are coming in over budget. The VE process assists owners and construction managers with achieving the design intent of each project and staying within budgets whenever possible. Our experience working with owners, architects, engineers and construction managers enables us to provide valuable feedback and to offer solutions that maximize the value of a project. Start Your Estimating Project with Danforth. Meet with one of our Estimating consultants. We’ll outline our process and begin your project estimate. Need More information? Send us a quick message and we’ll reach out to you to help Estimate your next project. 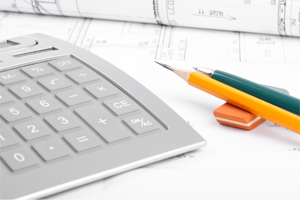 Get answers about our Estimating services and speak with a knowledgeable Estimating Expert.